In the drive for change, it’s vital for consumers to use their purchasing power as discerningly as they can. But with profit-making still at the top of the food industry agenda – and the environmental costs of many food products hidden by complex supply chains – we need more than consumer power alone to achieve a truly sustainable food system. The global population continues to grow in a world with limited resources, increasing the pressure on producers to maximise the amount of food that can be grown on existing land. As the long tentacles of transnational corporations seek the most cost-effective and efficient supply chains to feed these extra mouths, the environment has often had to take the strain. A billion tonnes of top soil vital to crop quality are lost every year through erosion in the 28 EU states alone, while land use change has driven a 58% decline in vertebrate abundance since 1970. Food supply chains are now often so complicated and opaque that consumers are rarely — if ever – presented with a comprehensive picture of the journey their food has been on. 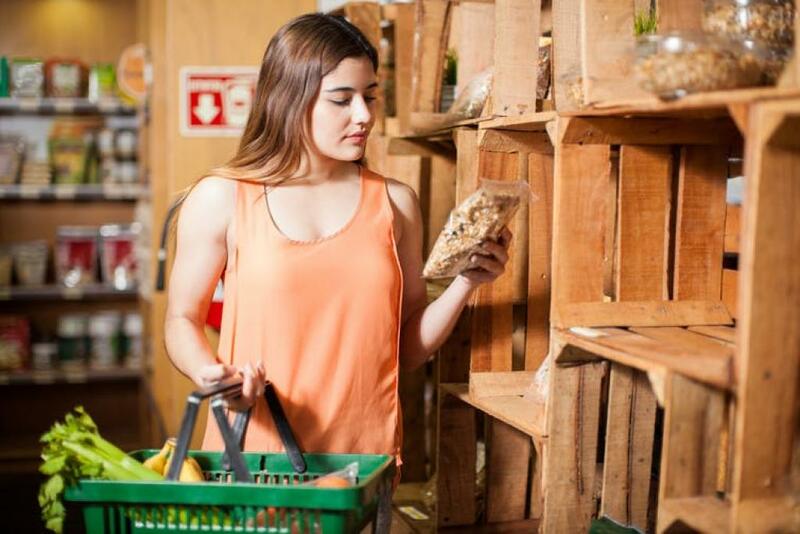 Instead, we have to rely on businesses and individuals at each stage to act ethically – and on supermarkets to provide the information necessary for us to make sustainable choices. But our trust is tempered by the opposing pulls of supermarkets’ interests. To satisfy customers, they need to make sure that their food is safe to eat and has been produced in a sustainable way – but their first responsibility is to turn a profit for shareholders. In many cases, retailers have little power to provide the information consumers deserve. Half of the food consumed in the UK today is classified as “ultra-processed”, passing through multiple factories and using industrial ingredients a far cry from the fresh produce associated with home cooking. These complex supply chains are often impenetrable from the outside, meaning that often even retailers don’t know the source or even contents of their products – as was the case when UK supermarkets unknowingly stocked “beef” lasagne products containing 60-100% horse meat. In the past few years, social and environmental issues have even become among the biggest concerns of shareholders. This new-found conscience in investors could play a big role in bringing about meaningful change across the food supply chain – although we must remain vigilant to greenwashing, a marketing strategy aimed at portraying a company as environmentally friendly when they are not. Of course, consumers and retailers still have a role in driving change towards a more sustainable food system. Supply does follow demand – and we mustn’t shirk our own responsibilities. But we must also band together to ensure that there are structures in place that stop food choices from being such a minefield. Only then will consumers be given the choice that they – and the planet – deserve: one that is ethical and sustainable.